Landlords and tenants can all turn to our company for help when they need an end of tenancy cleaning. We are a flexible and understanding cleaning agency and we are offering a helping hand to anyone from South Kensington who needs to do an end of tenancy cleaning or a pre-tenancy cleaning. We have packages that can be made-to-measure the needs of anyone. 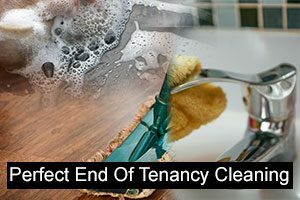 Whether you are a landlord or a tenant, even if you are a letting agent, you can turn to our company for reliable help with your end of tenancy cleaning. We will not disappoint you, you have our word. When our company is responsible for your end of tenancy job, you can rest assured that it will be done to the highest standard and that it will pass all inspections. However, if you or your landlord do not like our initial work, we will clean one time for free if you notify us within 48 hours after the job was completed. We are efficient and quick, and our services are affordable. When our team arrives they will do an inspection and get ready to work. They will use our professional heavy-duty cleaning products and modern equipment to clean the property in detail. You can be sure that all rooms – kitchen, bedroom, living room and other common places will be dusted, vacuumed, mopped, and the bathroom will be disinfected. Our team will polish all surfaces, appliances and floors, and do a lot more. Our end of tenancy cleaning package will be tailored to meet your needs and will be promptly and expediently executed no matter where in South Kensington you live. One very exciting place is South Kensington – the place for you and the whole family. It is a district of West London. Although it is hard to determine its borders it is a built-up area of 3.9 kilometres and is between the City of Westminster and the Royal Borough of Kensington and Chelsea. The area was developed late, only after the Great Exhibition in 1851 when the Exhibition Road was bought by the commissioners with the idea to make it a place dedicated to the arts and sciences. South Kensington is known as the richest areas of London. It is not only a beautiful space with a great number of attractions and magnificent parks, but it is the area with most museums. Three of London’s most notable museums are located here.The Natural History Museum even hosts an ice-skating ring in winter. Also here is the notorious Royal Alberta Hall that is hosts classical concerts, ballets, operas, etc. This is the perfect place to to mix business with pleasure and learn new things while having a fun time with family or friends. Are you looking for professional end of tenancy cleaning services? If so, you are just at the right place. We are well-established cleaning company that is focusing its forces on the end of tenancy cleaning. We have been running this business long enough to know what all tenants, landlords and real estate agents expect from us. We have developed successful strategies to ensure that the highest results are reach every time. We also take pride in collaborating with the most hard-working and qualified cleaners available in South Kensington who will stop at nothing, especially when the cleanliness of any property is on the line.